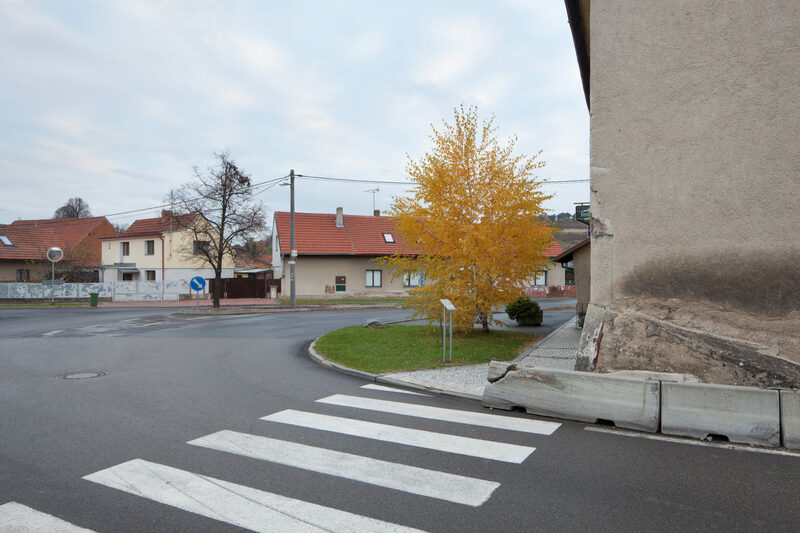 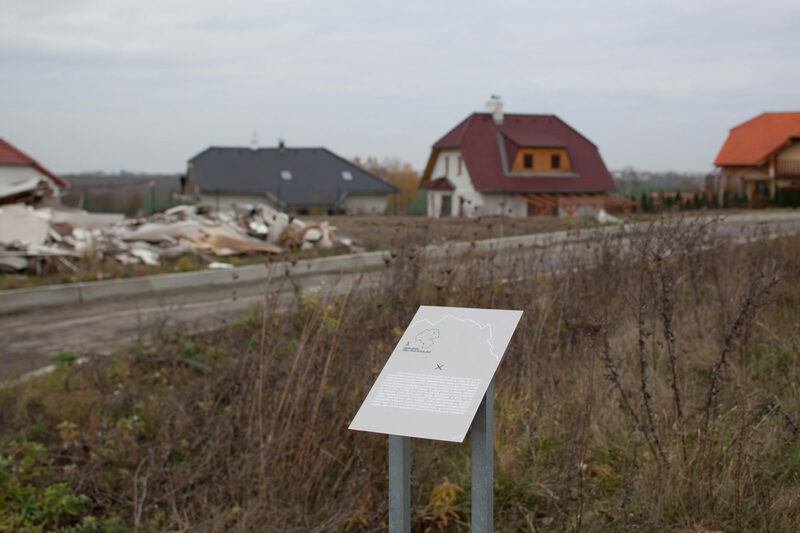 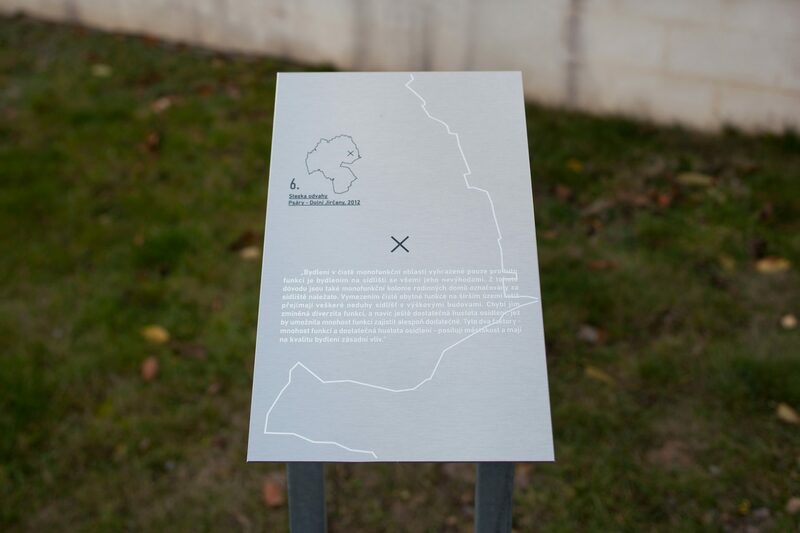 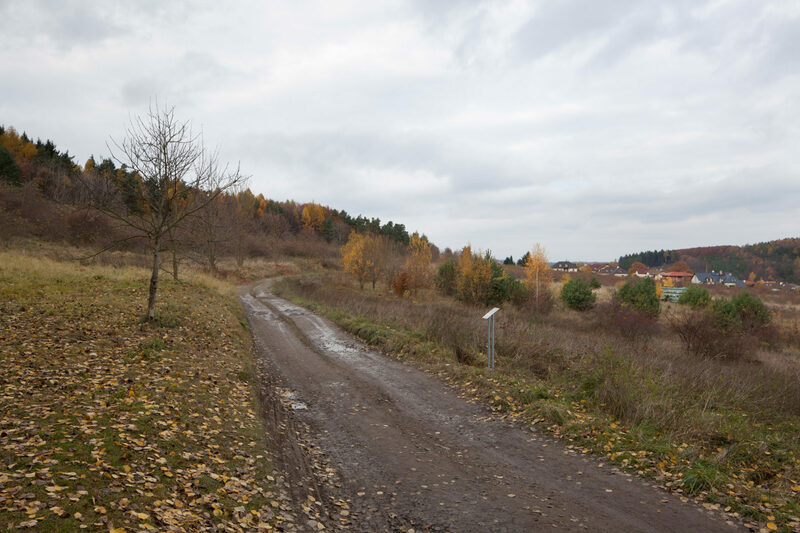 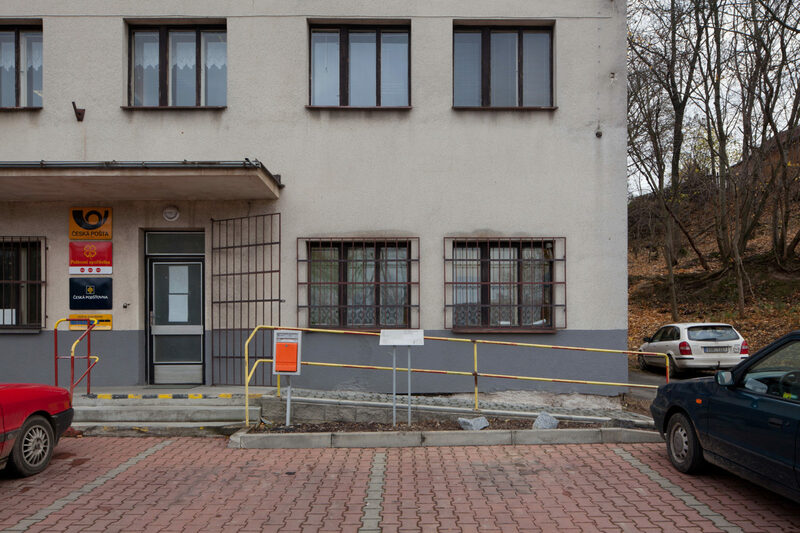 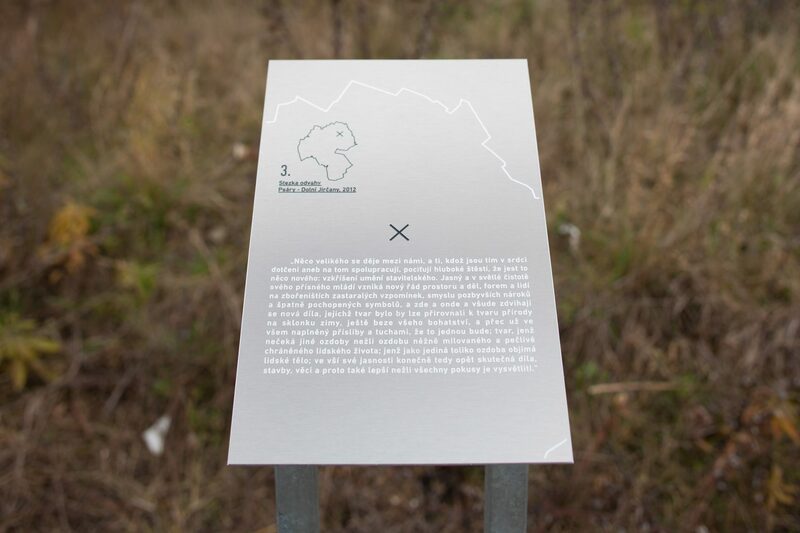 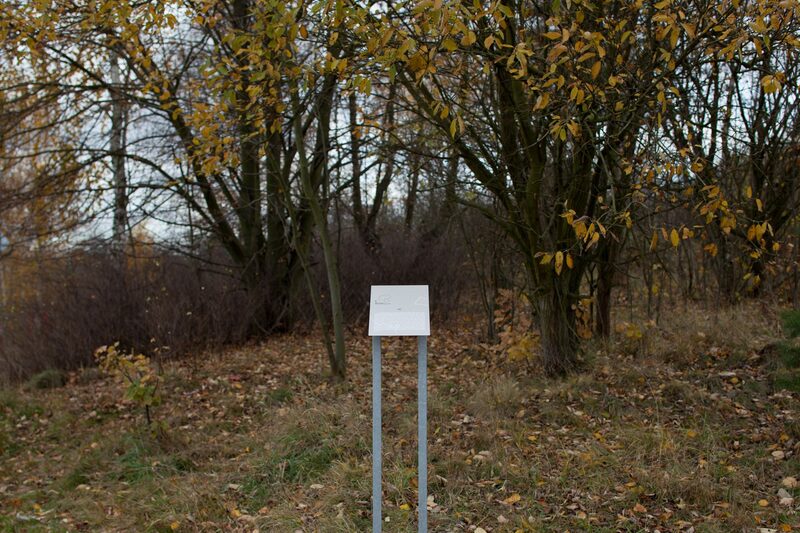 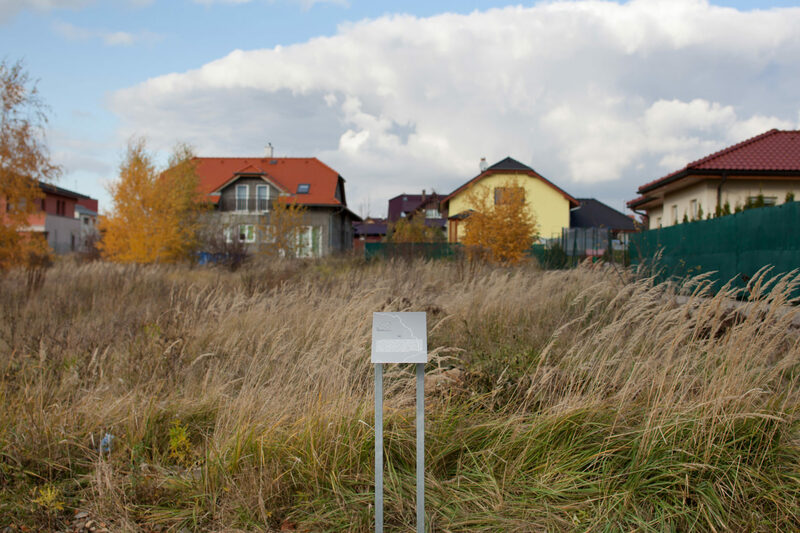 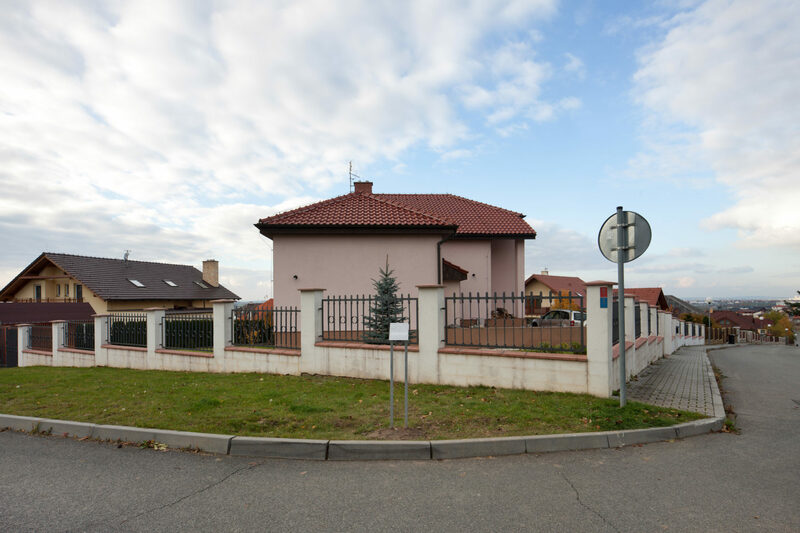 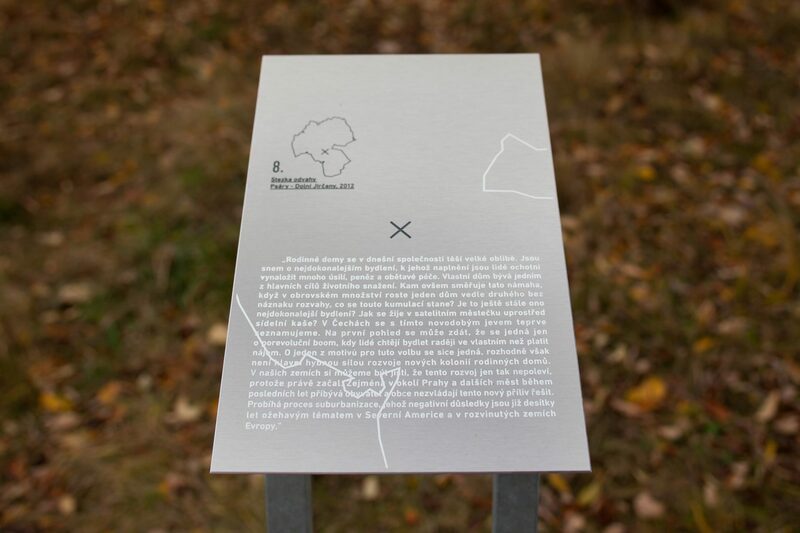 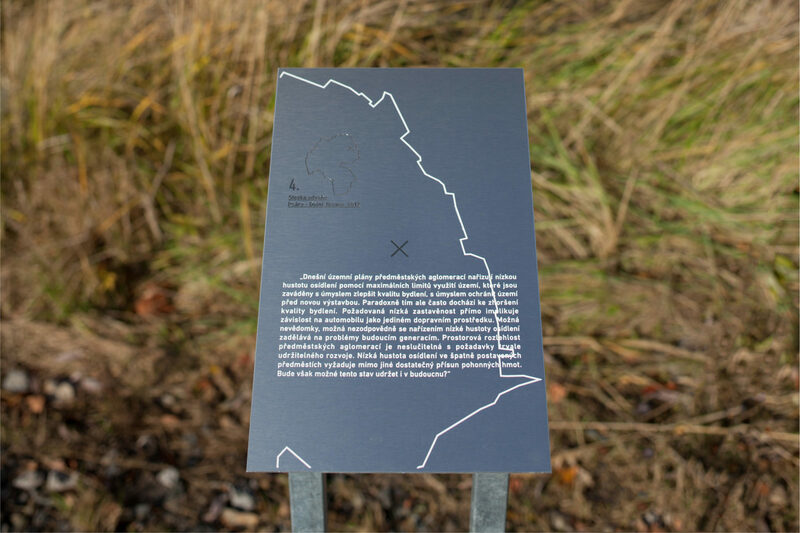 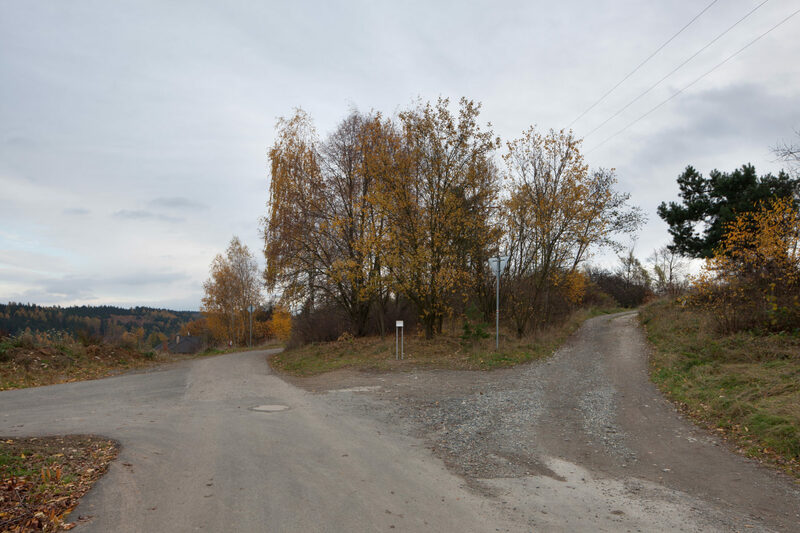 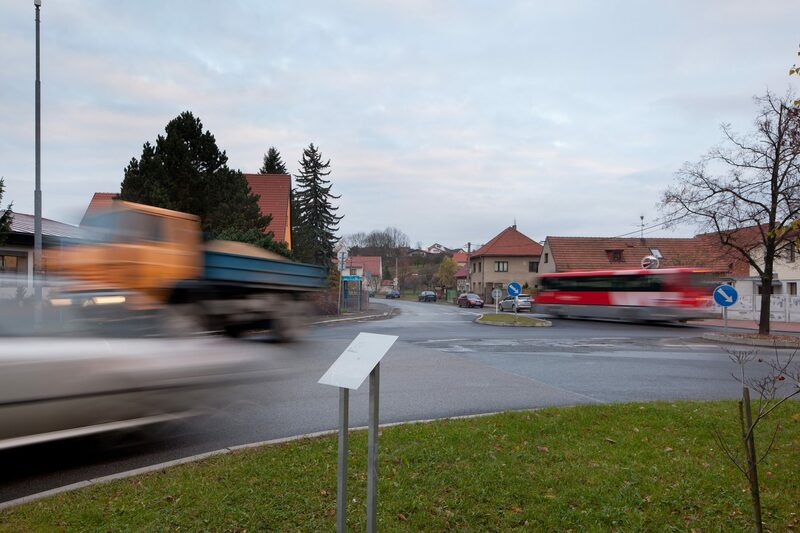 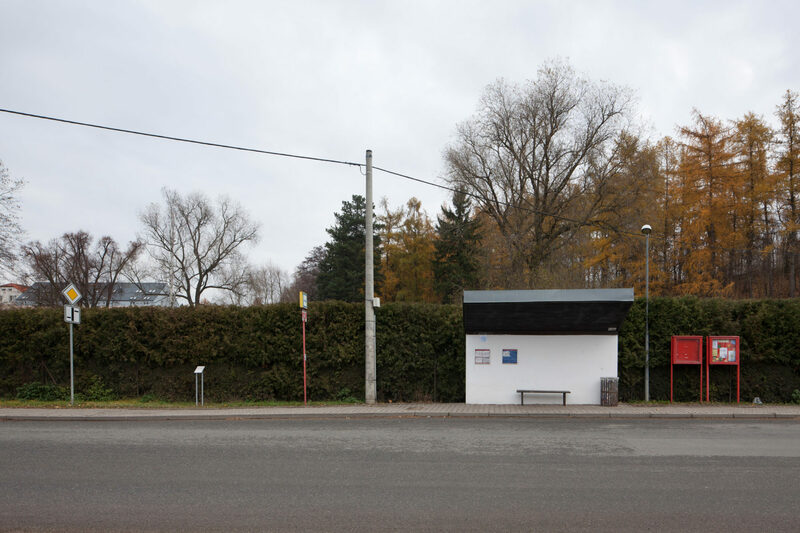 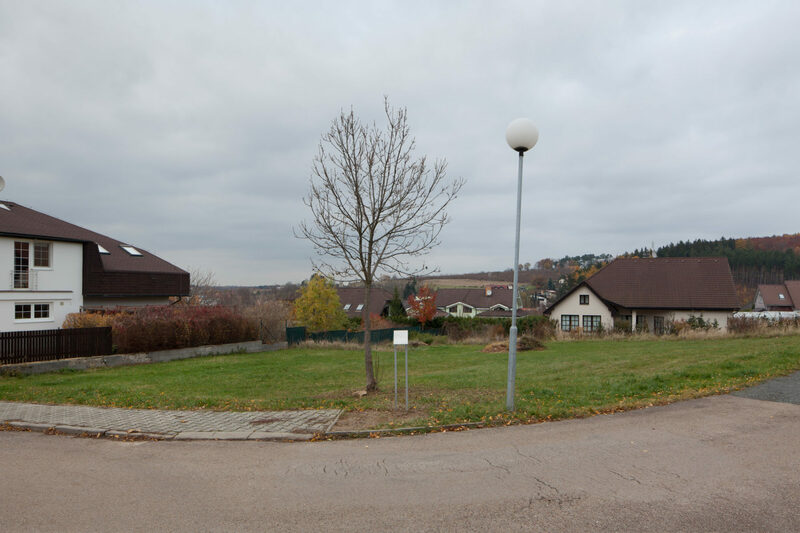 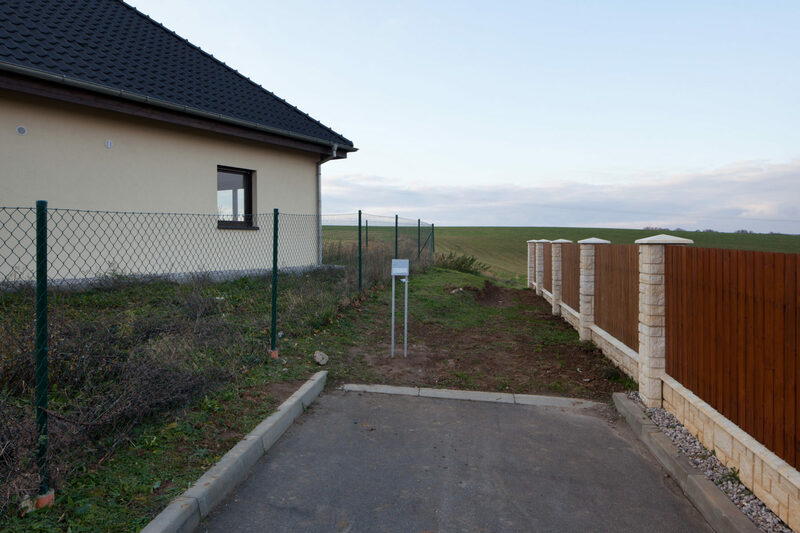 The project The Path of Courage aims at artistic capture of today´s urbanization of Psáry and Dolní Jirčany and related phenomena which represent, as models, a significant part of the social turnover in the Czech Republic after 1989. 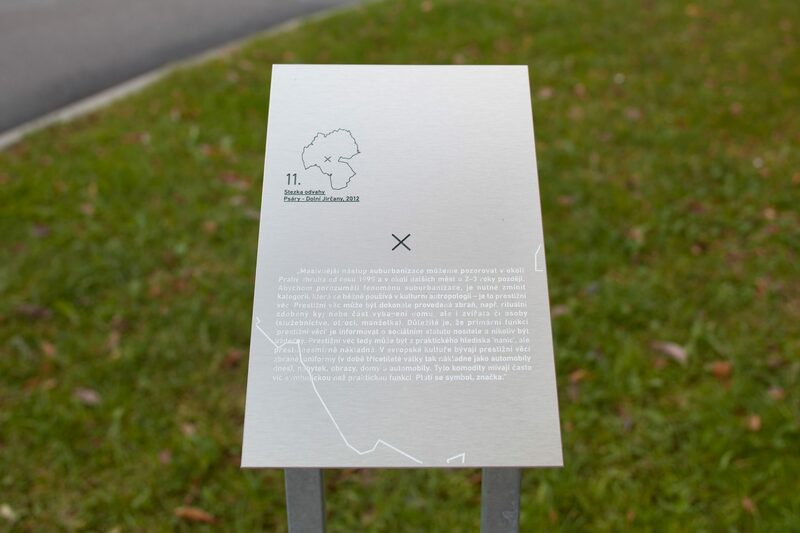 The Path of Courage is formed by a net of twelve educational points connecting the original core of the municipality to the new structured areas of development that have been chosen for their standardized settlement character. 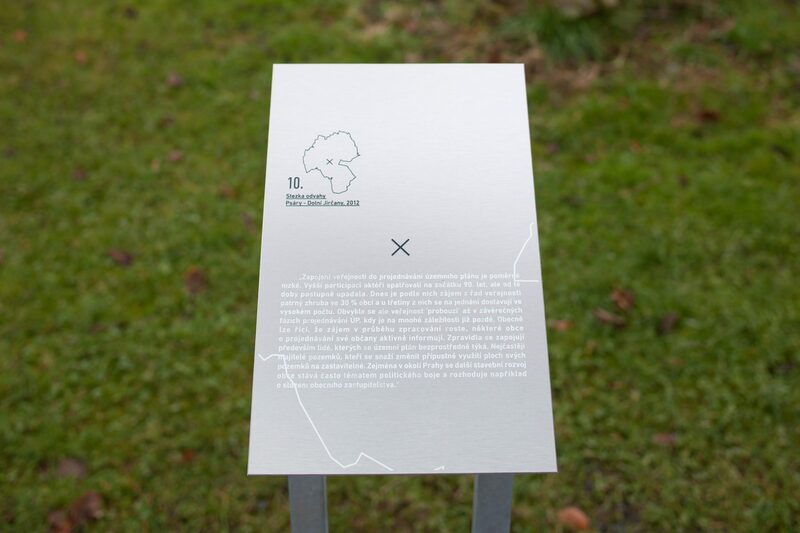 The aim of mapping of the conrete context and situation of the municipality through information boards on publicly accessible places is mainly a revival of the possibility of broader social dialogue and confrontation of theory with everyday reality. 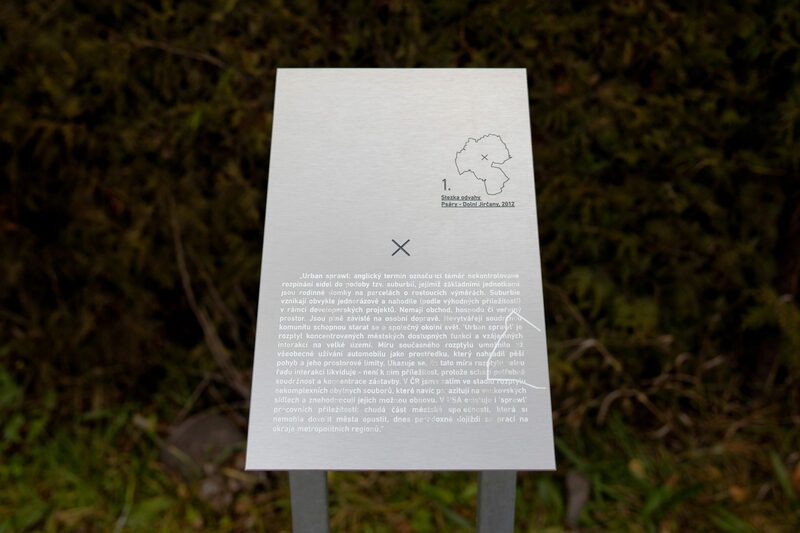 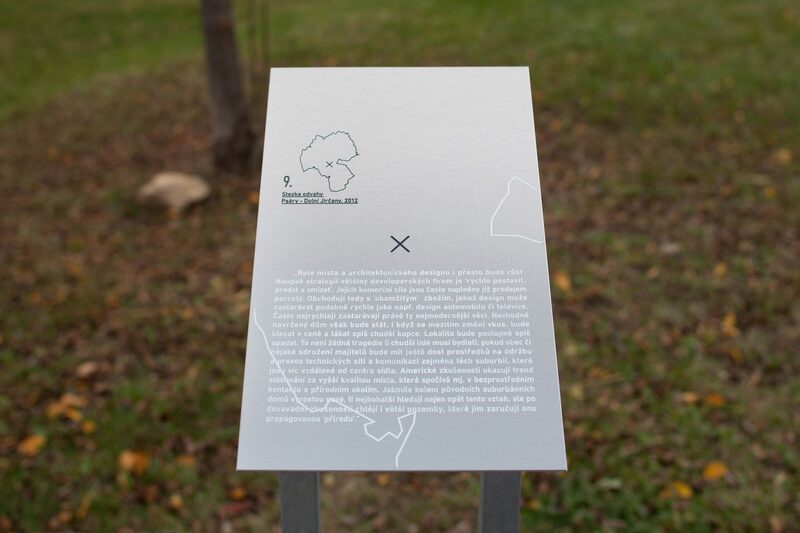 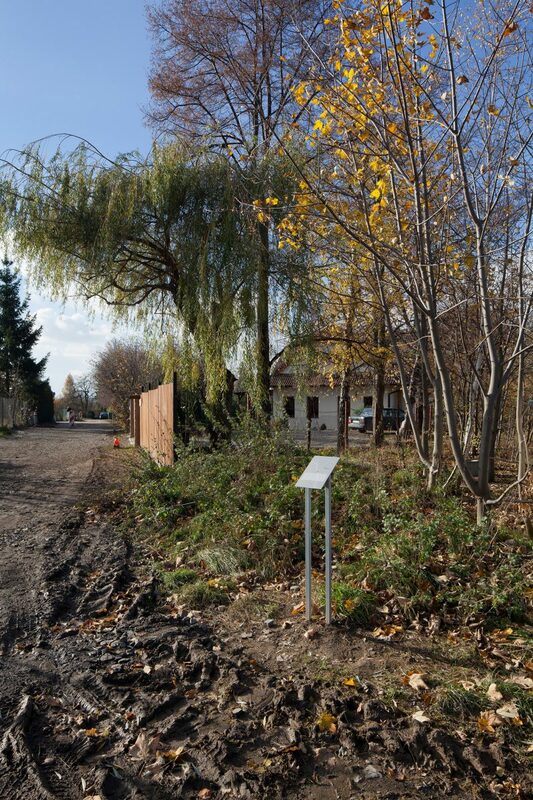 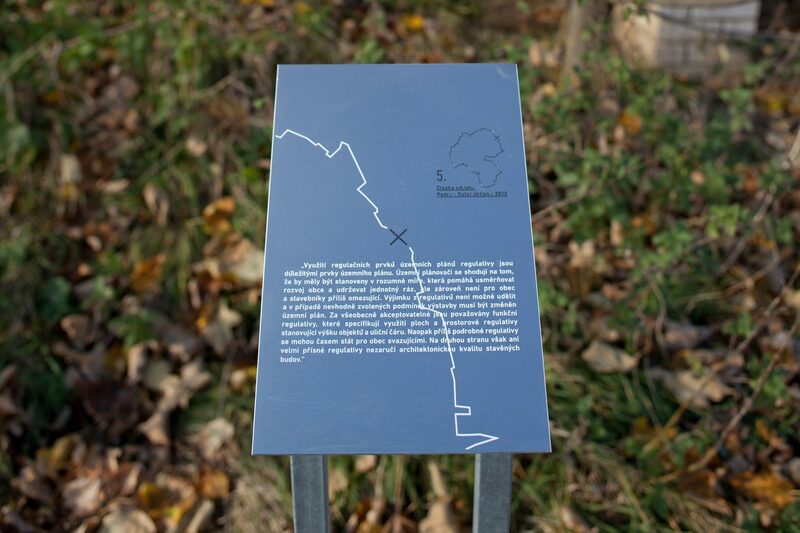 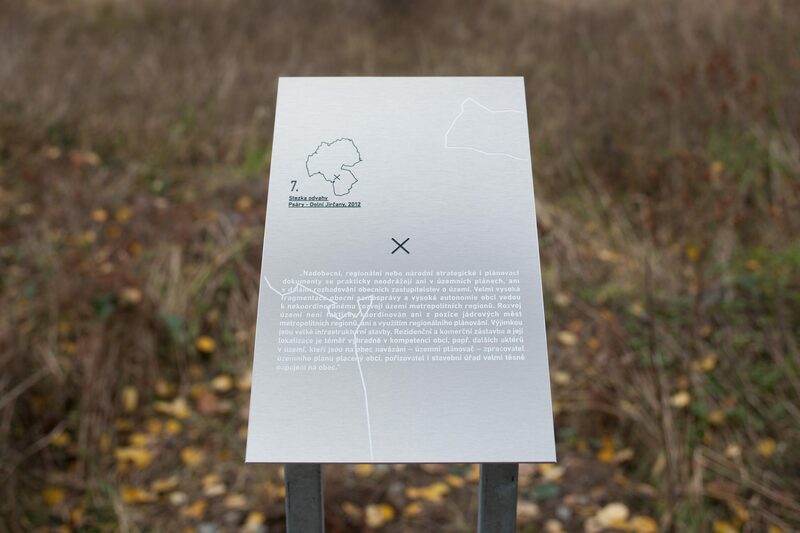 The content of the information boards is therefore an informational description of the problems of suburban areas, planning of their development, and structure through technical texts that are normally not a part of public space, yet they represent a great potential for securing sustainable development of the whole society.